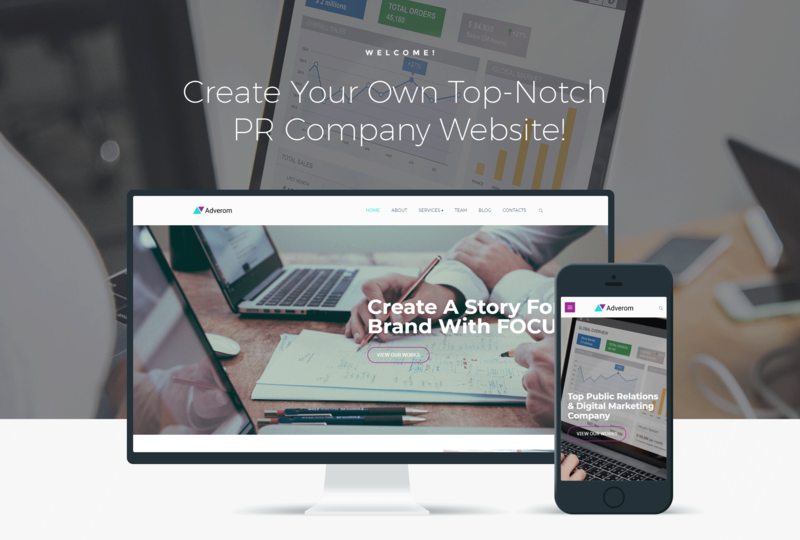 Create a professional website corresponding to the image of your PR company with Adverom theme. You will be able to present information about your company, provided services, team members, successful projects and much more in the most attractive manner. This theme has a bright, modern design and powerful functionality. Your website will look as you wish with the help of strong Jet plugins toolkit for Elementor page builder. JetElements plugin will provide a lot of useful widgets, which will help to enrich the content with eye-catching elements in a few clicks. 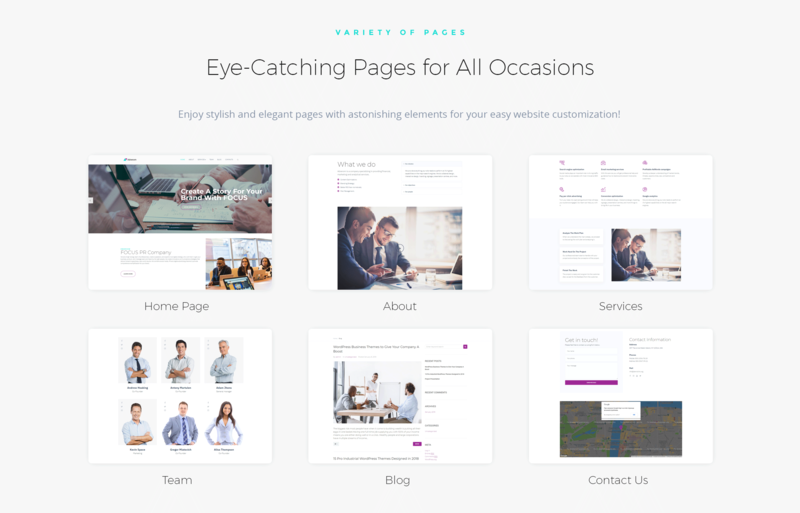 Using JetTabs plugin you will place the content into well-organized tabs and accordion blocks and your pages will look neat and refined. JetThemeCore plugin will allow creating custom headers, footers and inserting pre-designed special sections on different topics via Magic Button. You will add outstanding visual effects and animation tricks with JetTricks plugin. You will implement additional functionality to headers and footers using JetBlocks plugin. 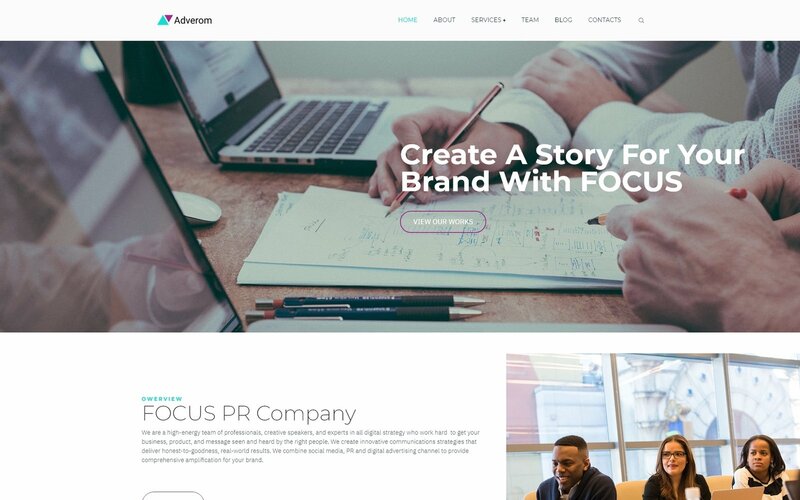 Adverom is a fully responsive theme, which will be a great solution to boost your PR company!